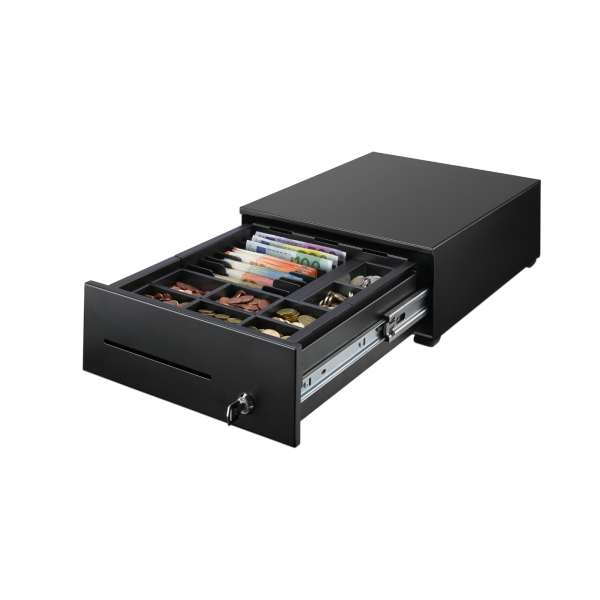 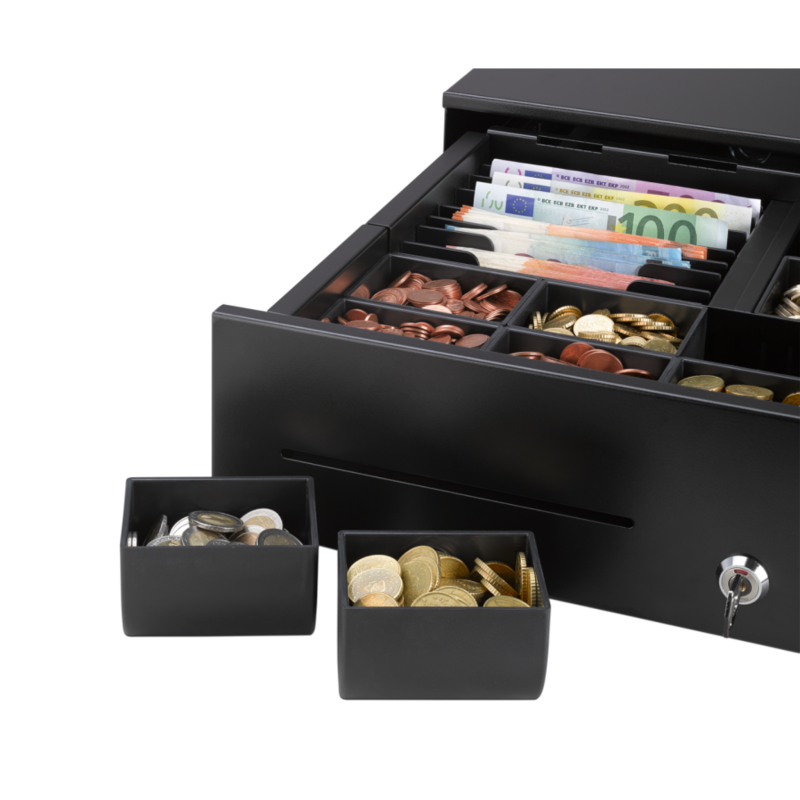 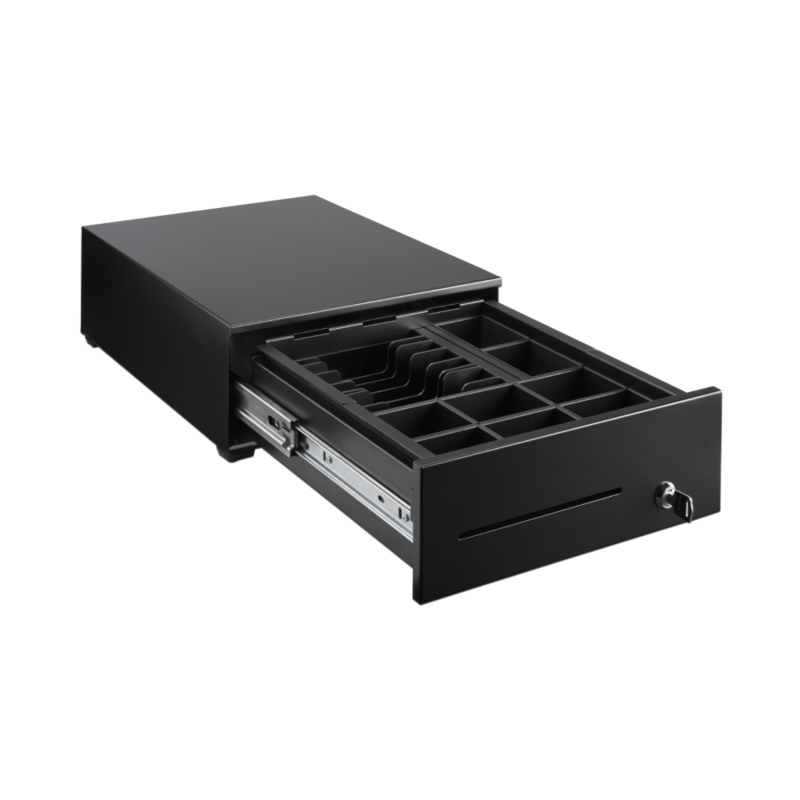 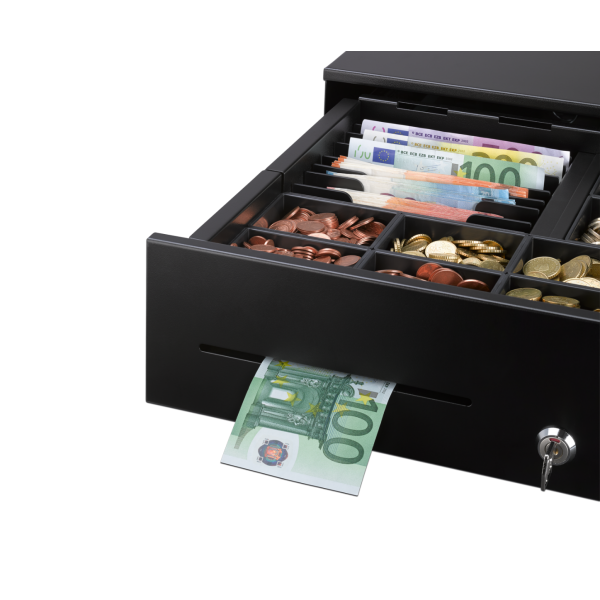 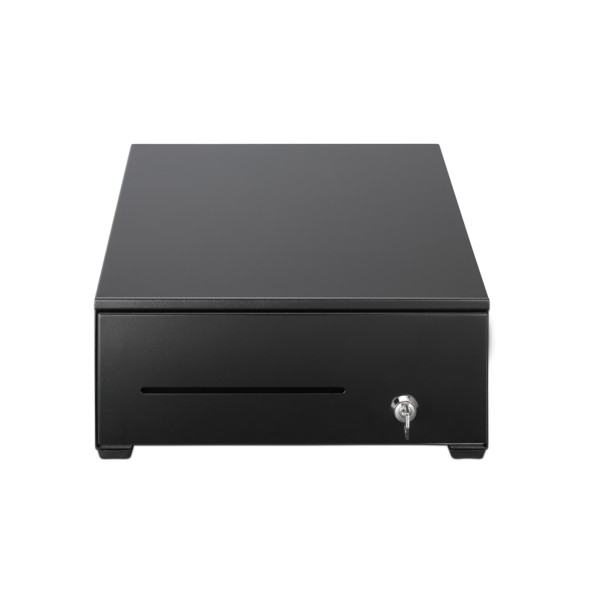 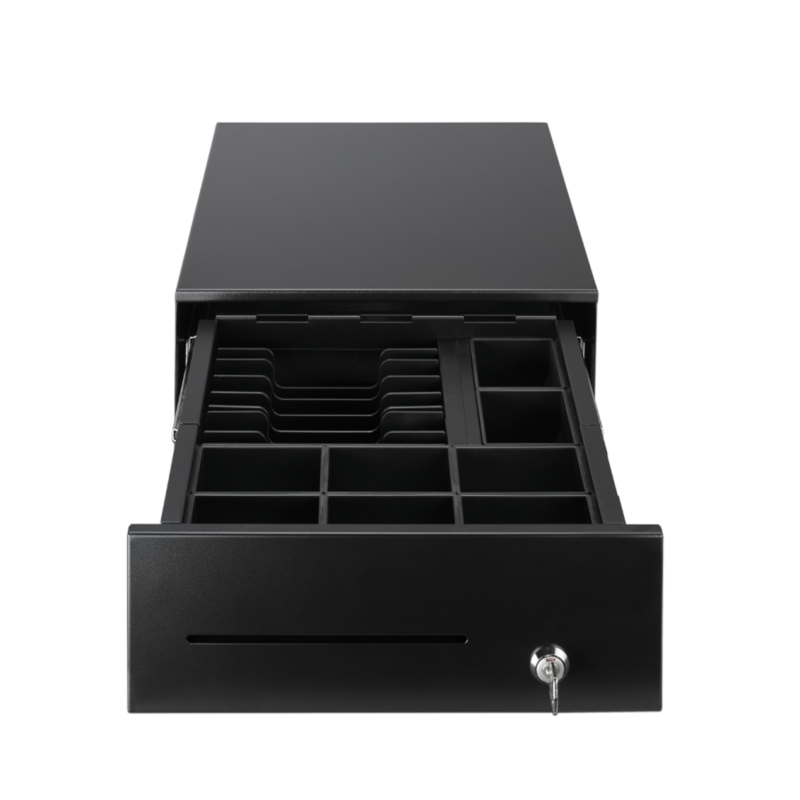 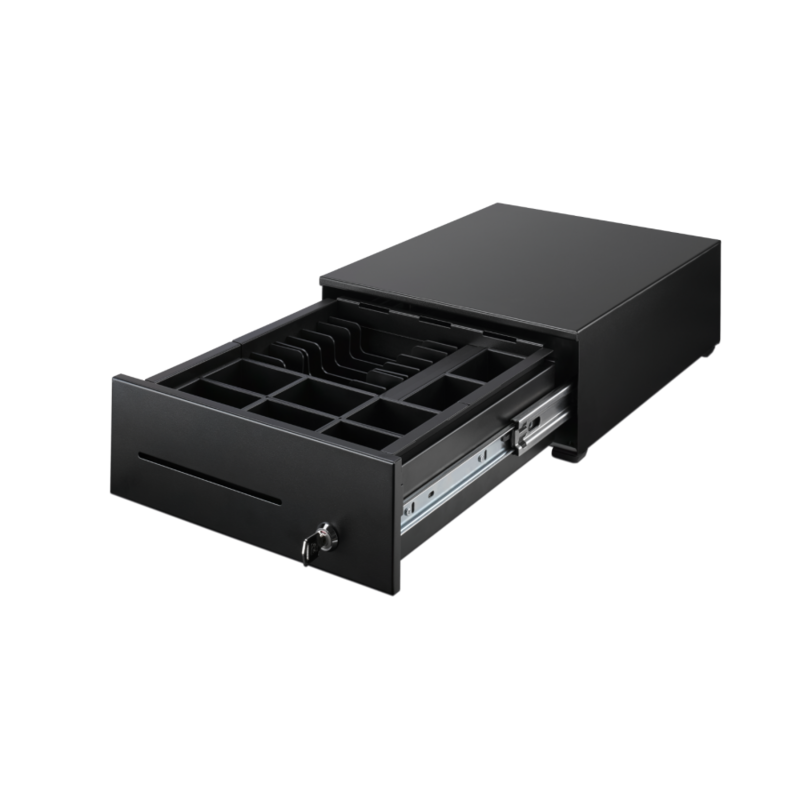 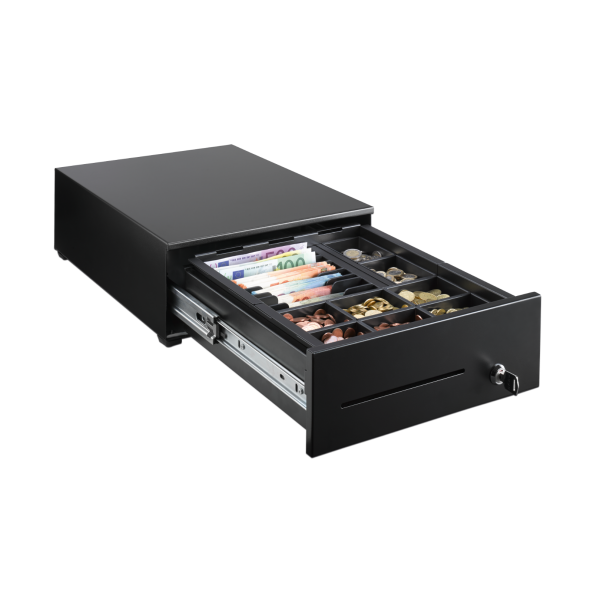 Ideal for safe cash transactions at the POS – our electronic telescopic cash drawer RCD 350 with high quality telescopic rail on roller bearings. Our optionally available cash inserts for the RCD 350 can be easily calibrated with our RS money scales. 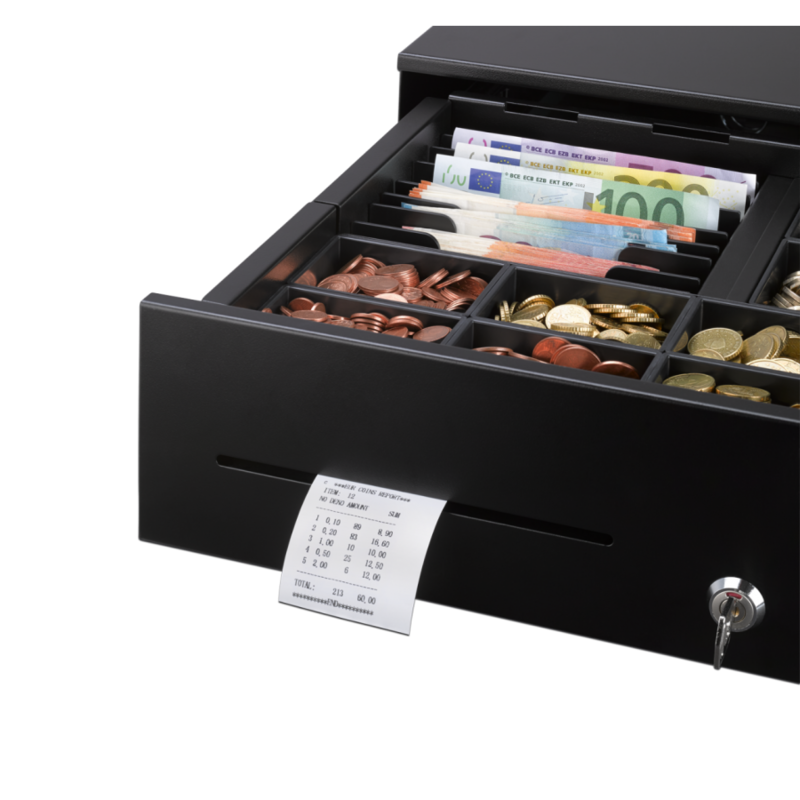 This lets you save up to ten minutes on your cash accounting!